A nice straight forward deep zoom into the Mandelbrot Set with some nice shapes and structures appearing at magnification 1e124. The frames for this video were rendered with Ultra Fractal 6. The coloring is linear Mandelbrot, with a lighting effect added. This video was created and uploaded by YouTube user Maths Town. 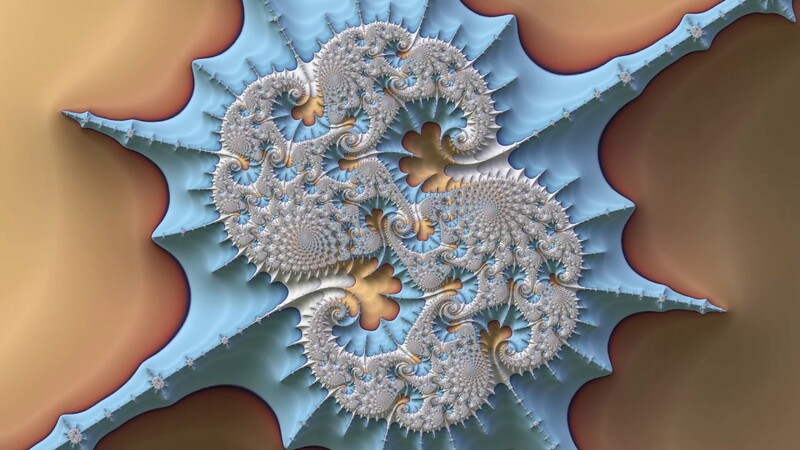 Many more excellent fractal zooms are available there. See their YouTube channel for more.